I’m always on the lookout for new voices in the college admissions industry who try to help students and parents and all of us keep a balanced and sane perspective on the frenzied quest for the perfect college. Kristin White, an educational consultant who wrote It’s the Student, Not the College: The Secrets of Succeeding at Any School: Without Going Broke or Crazy, does a great job of explaining how a student’s success has little to do with where they get in, even if it’s one of the 20 prestige schools so many believe they must attend or their lives will be ruined. I asked Kristin if she would share her opinions on how she thinks about the college application essays, and she wrote this guest post on what is behind every great and effective essay—strong writing skills. As she explains in this piece, strong writing chops can not only help you nail your college admissions essays, they are powerful skills that will help power your college experience as well as your effectiveness in the workplace. It can start with a rush, and end with a bang; make you angry, cry or even laugh. It can inspire you, or at least change your viewpoint, your attitude. It has come in many forms, from goose twills to bold faces. I’m talking, of course, about the written word. Writing skills are incredibly important, certainly in the college admission process, but also during your career as well. A thoughtful essay can capture the imagination of the admissions committee, while employers want effective communicators, both verbal and in writing. Indeed, hiring companies today complain they cannot find enough job seekers with effective writing skills. The reason this is so, unfortunately and somewhat inexplicably, is because writing is no longer emphasized at most American high schools. It is pushed aside by curriculums that rather focus on getting good results on standardized tests or on covering a mountain of material. The sad result is this leaves little time for careful analysis and thoughtful writing. Teachers also often have large classes and less time to grade writing exercises. They aren’t likely to give extensive feedback and edits, or encourage students to rewrite their paper. There are very few high school graduates who have written a ten-page research paper, which used to be a common requisite. 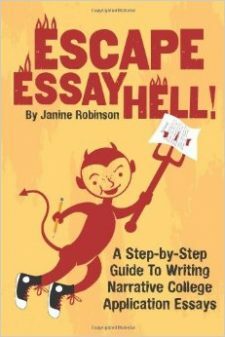 Many students I work with report they are only required to write a few two- to three-page papers each year. These students, therefore, find it difficult to organize their ideas on paper, and articulate them clearly and in a convincing manner. The power to influence people and their way of thinking is incredibly important. Whether you’re convincing your chief executive to launch a new product line, a capital provider to invest in your company, a prospective client to buy your technology, or an admissions officer that you have the insights and self-awareness to move off the bubble and onto the admit list – you will need strong writing skills. The good news is you can improve your writing acumen with practice; think of it as a muscle that needs to be exercised. Write in a journal each day. Write a persuasive essay with a firm viewpoint on a topic you find interesting. Write a response to an article that made you think, or better yet, send a letter to the editor – they may even publish it. Think through your view point, take a “side” and then defend it. Once you start writing, it might be a habit that stays with you for life. You might even learn to love it. You can also find an author or authors you love, and read their work – it will help you develop your own skills. After you’ve honed your craft, you might consider entering one of the hundreds of writing contests available each year. Students need to take charge of their education, and develop the skills and mindset needed to succeed. Developing strong writing skills is one important component in building a profile for success not only while in college, but also when launching your professional career. 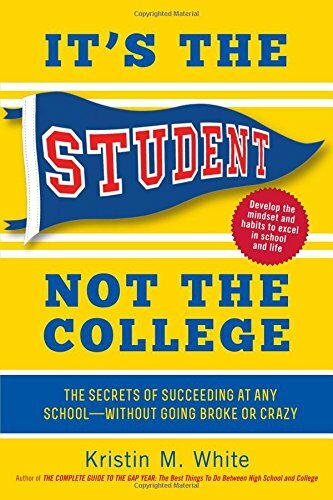 Kristin M. White is the author of It’s the Student, Not the College: The Secrets of Succeeding at Any College – Without Going Broke or Crazy. She is also the Director of Darien Academic Advisors, an educational consulting firms that advises students and families on the college, boarding school and MBA admissions process. She can be reached at kwhite@darienacademicadvisors.com. To learn more, visit www.darienacademicadvisors.com. Essay Hope for Math/Science Students!